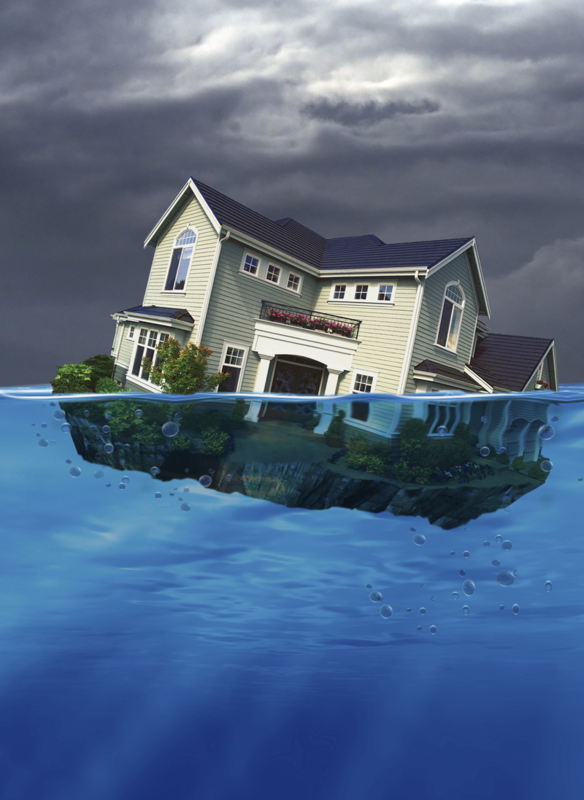 National home foreclosures are on the increase and appear on the news at every glance. With this sad trend advancing we have been keeping my eye on the local market information and the indications that we are in good shape here in the Cheyenne and Laramie County areas are clearly visible. The circumstances around foreclosure are often misunderstood by the public and generally create unfair negative view of the victims. Foreclosure can occur from any number of small factors, that when combined, provide a financial hardship no right minded person wants to experience. Some examples of these factors are divorce, death, sickness, loss of job, change in employment, or any number of other factors. Foreclosure does not mean the homeowner is a bad person or just wasn't paying their bills. Farmers and other small businesses depend on crops and sales for their livelihood. If any of these factors are affected, even if you are still paying your dues, you could be on the brink of disaster because of external economical influences and natural disasters. First, Joe has full comprehension of economic conditions and fully understands your situation. He understands the economic climate and also understands that foreclosures happen. Life happens and that you are not always to blame for these situations. Joe understands. Joe listens and helps you make decisions based on the information you provide. He has sympathy and can relate to every situation you presented to him. Secondly, disaster does not necessarily have to mean foreclosure. Joe works with many members in the financial arena and with his wealth of experience and knowhow he will facilitate and possibly stave off the looming foreclosure. Methods employed could be a minor refinancing or a major loan overhaul. Either way, you could save your home and your credit profile from the negative effects of foreclosure. Short Selling is one of the viable options you may consider. Joe may be able to help you sell your home and save your credit. If your home has not reached the actual foreclosure process or even if it is in the beginning phases he can still assist. With the current National Foreclosure situation, the government is overloaded with foreclosures paperwork and the administrative duties that comes with it. They have a huge amount of properties to sell right now which gives rise to negotiation, and a certain level of leniency. They are usually willing to work with you to see if there is a chance to sell your home and redeem some money if that is still possible. Joe has worked with many people in Cheyenne, assisting them get through their foreclosure or helping with their Cheyenne Short Sale. He knows what he is doing and he knows how to submit the paperwork and to whom to speak with to move as quickly through the process as possible allowing you to move on with life. HUD-approved housing counseling agencies are available to provide you with the information and assistance you need to avoid foreclosure. As part of President Obama's comprehensive Homeowner Affordability and Stability Plan (HASP), you may be eligible for a special Making Home Affordable loan modification or refinance, to reduce your monthly payments and help you keep your home. If you need help understanding the Making Home Affordable programs, you can find a counseling agency in your area that will provide you with free foreclosure prevention services. If you are eligible for the loan modification or refinance program, the counselor will work with you to compile an intake package for your servicer. Please select click this link to get more information and link to the website. Few people think they will lose their home; they think they have more time than they actually do. Here's how it happens. Note: Timeline varies by state. First month missed payment – your lender will contact you by letter or phone. A housing counselor can help. Second month missed payment – your lender is likely to begin calling you to discuss why you have not made your payments. It is important that you take their phone calls. Talk to your lender and explain your situation and what you are trying to do to resolve it. At this time, you still may be able to make one payment to prevent yourself from falling three months behind. A housing counselor can help. Third month missed payment after the third payment is missed, you will receive a letter from your lender stating the amount you are delinquent, and that you have 30 days to bring your mortgage current. This is called a "Demand Letter" or "Notice to Accelerate." If you do not pay the specified amount or make some type of arrangements by the given date, the lender may begin foreclosure proceedings. They are unlikely to accept less than the total due without arrangements being made if you receive this letter. You still have time to work something out with your lender. A housing counselor can still help. Fourth month missed payment – now you are nearing the end of time allowed in your Demand or Notice to Accelerate Letter. When the 30 days ends, if you have not paid the full amount or worked our arrangements you will be referred to your lender's attorneys. You will incur all attorney fees as part of your delinquency. A housing counselor can still help you. Sheriff's or Public Trustee's Sale – the attorney will schedule a Sale. This is the actual day of foreclosure. You may be notified of the date by mail, a notice is taped to your door, and the sale may be advertised in a local paper. The time between the Demand or Notice to Accelerate Letter and the actual Sale varies by state. In some states it can be as quick as 2-3 months. This is not the move-out date, but the end is near. You have until the date of sale to make arrangements with your lender, or pay the total amount owed, including attorney fees. Redemption Period – after the sale date, you may enter a redemption period. You will be notified of your time frame on the same notice that your state uses for your Sheriff's or Public Trustee's Sale. Important: Stay in contact with your lender, and get assistance as early as possible. All dates are estimated and vary according to your state and your mortgage company. Answer:Foreclosure is a legal process in which the rights to a property are taken away from the owner and the property is then sold to satisfy unpaid mortgages and liens against the property. Question: When do foreclosure proceedings start? Answer: In most cases, foreclosure proceedings are started when payments become delinquent. Question: How many payments can I miss before my lender puts my property in foreclosure? Question: Who can foreclose on my property? Answer: Mortgage holders and other lien holders who have a vested interest in loans on your property, which is used as collateral, can foreclose on you. Question: From the time I become delinquent on my first payment, how long does it take to complete the full foreclosure process? Question: How will I know when the foreclosure process begins? Answer: Once foreclosure proceedings are initiated, a Notice of Default will be recorded at the County Recorder’s Office in the county in which the property is located and you will be notified by regular mail and by certified mail. Question: How much time do I have after a Notice of Default is filed? Answer: Normally, it is ninety days plus twenty to twenty five days for publication. But it would be wise to read all correspondence carefully, and or contact an attorney, to make sure what your rights are and what the time frame is in your situation. 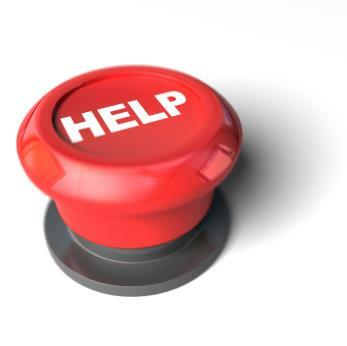 Question: Can I stop the foreclosure sale? Answer: Yes. You can bring your mortgage payments current along with all late charges, foreclosure fees, taxes, and insurance premiums.If you are unable to do so, you can contact your lender and try to negotiate a plan to modify your payments but don't wait until the last minute to do this.Other options include refinancing, selling your home and or filing for bankruptcy. Question: If I file bankruptcy, how will that help me? Answer: Bankruptcy will stop the foreclosure proceedings and give you time to work out a plan through the courts. Question: If I lose my property through foreclosure, can I get any money from the foreclosure sale? Answer: Yes. But first, any remaining balance on the mortgage will be paid along with all outstanding property taxes and court fees. In most cases, very little, if any money, will be left for you to get. Question: How much time is given to vacate the property once the foreclosure process is completed? Answer: Remember, once the Trustee's sale is complete, the title to the property is given to the new owner and your rights to the property are gone and the new owner gets immediate possession. Note: Foreclosure is a serious matter and it is advisable to contact an attorney for legal advice. Although not an attorney or an accountant, he is able to direct you to the professionals who can help you get through it.